Mozilla has just released Firefox 10.0.2 to the public, the third release in less than a month's time (you can read up on Firefox 10 and Firefox 10.0.1 by following the posted links). The previous update fixed several crash related issues that affected a high number of Firefox users. Firefox 10.0.2 is a security update that is resolving one critical security vulnerability in the browser. The vulnerability could allow attackers to cause a crash and potentially exploit the issue. Affected by the vulnerability are both Firefox 10.0.1 and 10.0.1 ESR, as well as Thunderbird 10.0.1 and 10.0.1 ESR, and SeaMonkey 2.7.1. The developers have implemented additional changes and improvements into the new Firefox version. Firefox is now supporting Anti-Aliasing for WebGL and accelerated layers via OpenGL ES. The bdi element for bi-direction text isolation with supporting CSS properties has been added in the release as well. The only other changes are a fix for a rare issue where the browser would not load web pages or close tabs anymore, and a new Set Up Sync menu entry in the Firefox home menu. 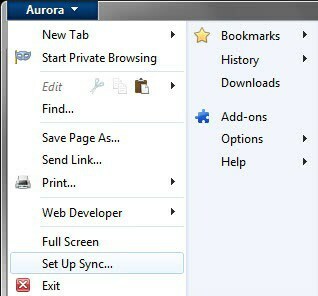 Existing Firefox 10.x users should see update notifications in their web browser. A click on Firefox > Help > About Firefox opens a screen where update checks can be performed manually. Here you also see the current version of the web browser. New users can download the latest stable version of Firefox from the official website. You can open the release notes here to take a look at the changes and known issues. All known issues seem to affect the Firefox mobile browser Fennec for the Android operating system only. Minor updates like these should not cause any problems for existing Firefox installations. Thunderbird users can download the latest version of their email client from the Thunderbird website. Existing Thunderbird users should receive update notifications in the client by now. Only the security issue was fixed in the email client. Got the TB update earlier, but since I’m using FF UX 13.0a1, I get daily updates. The one thing that kinda bugs me about the Google homepage in Firefox is that they stick a “Download Google Chrome” notice at the top right corner, and you can no longer click to remove it. We should have a choice, don’t you think? Using Firefox, too, and I completely agree: that Google Chrome ad on the Google homepage is extremely annoying. As far as it being there permanently, though, well, “permanence” is a funny thing on the worldwide web. I was able to remove most of the ad by having the Adblock Plus addon installed (https://addons.mozilla.org/en-US/firefox/addon/adblock-plus/) and right-clicking on the ad and removing what I could. I later just removed all of it using the Element Hiding Helper for Adblock Plus (https://addons.mozilla.org/en-US/firefox/addon/elemhidehelper/). You meant Thunderbird 3.1.19 right? Not the same release number as Firefox. If there is a way to trick Google.com into thinking that Firefox is Chrome (or maybe some other obscure browser), the Google Chrome ad on the Google page will probably not appear. Anyhow, Internet Explorer not only gets the ad, its user also gets nagged to set google.com as the homepage. Google has been very annoying lately, but I can live with the Chrome ad on google.com. I am more concerned with privacy issues, shameless plugging for Google+ (+1 this, +1 that), randomly pushing HTML5 rendering for videos on Youtube without an option to opt out, and a new user interface across its products designed by imbeciles who thinks minimalism trumps functionality. Saw the new Google page black navigation bar recently? There is no more gear icon for you to tweak the search settings. You’ll have to enter some search terms, let Google Instant pull some search results, only then will gear icon appear on the right. I always turn off SafeSearch and Google Instant.